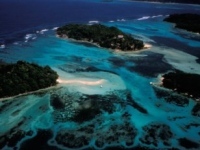 Enjoy a unique combination of the tropics and beaches with the open savannahs for wildlife game safaris. 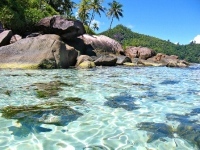 The tropical haven of the Seychelles Islands located 1,000 miles east of the African mainland, offers some of the most beautiful islands in the Indian Ocean complemented with a moderate climate year-round. Kenya, offers incredible wildlife and spectacular landscapes. The Masai Mara, the most popular game reserve, offers fantast all-year -round game viewing. Wide rolling hills allow you to find both variety and large number of animals, including the Big 5. Lake Nakuru is the most densely populated wetlands of Kenya, with a larger population of pink flamingoes, included its fair share of buffalo, leopard, zebra and lion. 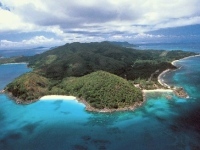 3 Nights at the Bliss Hotel on the island of Mahe with Indian Ocean view rooms. 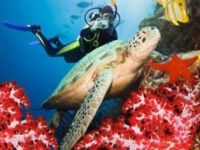 Full day Reef Safari Cruise including semi-submersible and snorkeling. Nairobi, visit and lunch at the Karen Blixen home and visit the Giraffe Manor and hand feed these tall elegant animals. Two nights at the Masai Mara offering three half-day wildlife game safaris in one of the finest Game Reserve in Africa in search for the Big 5. One night at Lake Nakuru National Park inclusive of a half-day wildlife game safari in the wetlands shimmering with pink flamingos, hippos, rhinos, buffalo, and other wildlife. If purchasing the Ethiopia post-optional package visa will be required. DAY 1 (WED)- WASHINGTON D.C. Early morning arrival into Addis Ababa, Ethiopia with a short lay-over and continue on a your flight to Victoria, Seychelles Island. Early afternoon arrival with meet and greet transfer to the Bliss Hotel in sea-view rooms. Enjoy the balance of the afternoon and evening at leisure. Enjoy a full day Reef Safari by boarding your boat to Sainte Anne Marine Park and immerse yourself in the teeming underwater ecosystem on board a semi-submersible. After your underwater adventure, climb on-deck to hand feed the fish and don on a lightweight snorkeling vest and equipment and get close to the fascinating underwater world. Enjoy a mouth-watering Creole Barbeque and spend the afternoon relaxing and swimming before heading back to Victoria and be transferred to your hotel. Enjoy a full day of leisure relaxing or going to the town of Victoria. People who love exotic flora should visit the Victoria Botanical Garden. The Victoria Museum of History will take you back in time of Kings and Queens. There is also the Natural History Museum to view the most unique and ancient artifacts. Also not to be missed is the Sir Selwyn-Clarke Market for those interested in shopping and buying antique items. Leaving Nairobi after breakfast, you'll travel towards Kenya's fertile highlands and head down the Rift Escarpment on a road built by Italian prisoners of war during World War II. Look for the charming chapel they built at the foot of the escarpment. You'll pass the impressive Longonot earth satellite station as you head across the Valley to Narok, and then travel across acres of wheat and barley, before you reach your home for two nights at the Mara Simba Lodge in time for lunch. Following lunch, there is an afternoon game drive into one of the most prominent game reserve in Africa. The Masai Mara is one of the largest and most well known wildlife reserves in Africa. It has an abundance of the "Big Five" wildlife., Lion, Leopard, Black Rhino, Elephant and Cape Buffalo. Enjoy an early morning game drive and a late afternoon game drive, the best time for viewing the animals. During your leisure time lunch will be served at the lodge and have an opportunity to relax by the large pool offering wonderful views. Note: Departures in July, August and September will witness the popular Mass Migration. Leave the Masai Mara and travel across the "breadbasket" of Kenya, where acres of wheat and barley litter the landscape as you head north to Narok. From here travel across the vast plains on the floor of the Rift Valley, keeping an eye out for herds of giraffe and gazelle as you head up the Mau Escarpment, before arriving at Lake Nakuru Lodge for lunch. This afternoon's game drive highlights the lake which is often colored with shimmering pink flamingos and thousands of the most beautiful birds lining the shore line. In addition both black and white rhino roam this area including the Rothschild giraffe and a fair share of buffalo, leopard, zebra and lion. Depart this morning and head south to Nairobi to visit the Giraffe Manor and have an opportunity to hand feed these tall splendid animals. Visit and stay for lunch at the Karen Blixen home a pioneer coffee farmer an acclaimed author, famous for her book "Out of Africa". The home has been converted into a museum and will provide you an opportunity to step back in time and gain insight into this remarkable woman's life. Proceed to the airport for your late afternoon flight to Addis Ababa and convenient connection for your overnight flight to Washington D.C.
Day 10(FRI): ARRIVE WASHINGTON D.C. This morning a short flight takes you to Lalibela, a destination considered one of the best kept secrets of rock churches, nicknamed the "Petra of Africa". Ethiopia's Emperor Lalibela, who had visited Jerusalem, attempted to build a New Jerusalem in response to the capture of Jerusalem by Muslims in 1187.Only its relatively remote locations and international obscurity keeps Lalibela from seeing the same levels of visitors to Petra. Visit the twelve majestic rock hewn churches, which are still used as places of worship. Check-in to the Mountain View Hotel. Depart late this morning arriving into the capital city of Addis Ababa. Visit the National Museum, whose most important exhibit is a replica of the skull of Lucy, a woman who had lived in Eastern Ethiopia about 3.5 million years ago. Continue to Trinity Church built to commemorate Ethiopia's liberation from Italian occupation. It is also the burial site of Emperor Haile Selassie. This evening enjoy a traditional Ethiopian meal, dance performance and coffee ceremony. Transfer to the airport for your overnight flight to Washington D.C.